There might come a time when you've setup your mail client to check email on the server via POP3 or IMAP and you decide you want to switch to the other protocol. 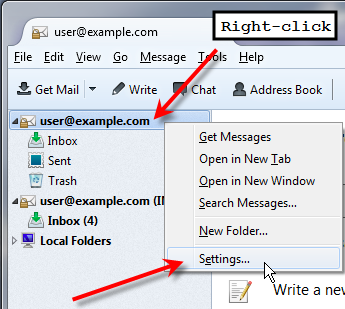 Unfortunately you can't simply flip a switch to do this, but you can re-create your email account in your mail client to use the protocol of your choice. When you need to check your email on the server, there are 2 different protocols POP3 or IMAP available to use. Depending on how you utilize your email, one way might be more preferable to the other for you. With POP3 (Post Office Protocol) this would be the same as simply going into the post office, removing everything in your post office box and taking it home with you. You retain the physical copies of all of your mail that has been sent to you, and the post office (server) doesn't have to deal with them further. With IMAP (Internet Mail Access Protocol) instead of simply taking everything out of your box and home with you every time. You instead grab a copy of each message, and the original stays in the post office box (server). This is convenient if you have multiple devices such as a desktop, laptop, smartphone, and tablet all trying to check mail from the same account. 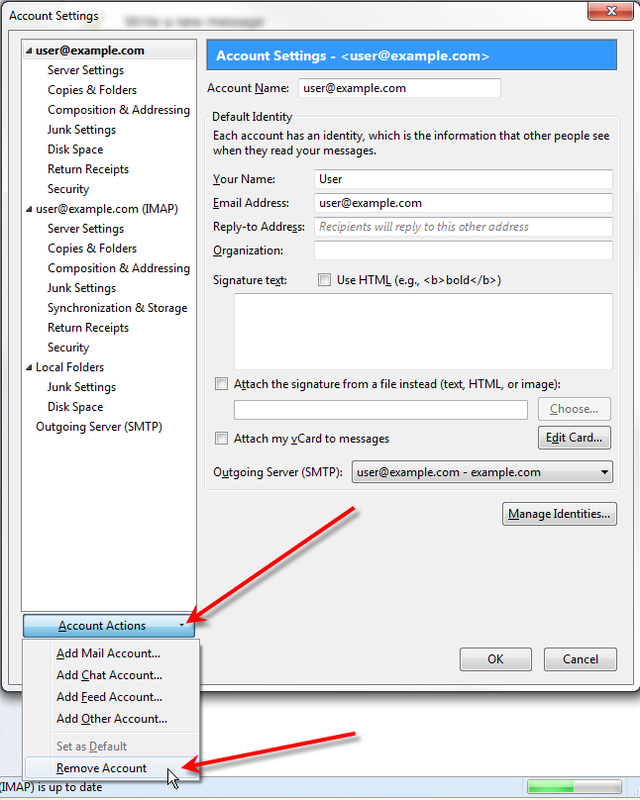 Switching an IMAP account to POP3 would allow you to alleviate the server from managing your emails, and instead they would be stored locally on your computer. You would just need to create a new POP3 account in your mail client, then drag any messages off the server from the IMAP account you wish to download. If you're having IMAP resource usage problems switching an IMAP account to POP3 is a great solution! 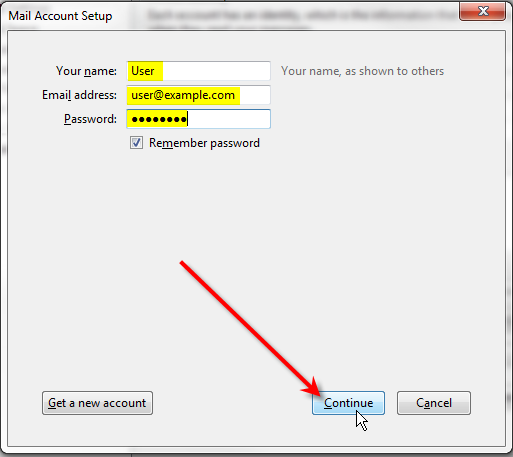 Here you can see in Thunderbird that I have a user@example.com account currently setup to use an IMAP Mail Server. At this point you can now see that our original IMAP account has 5 messages in it, and these are stored on the server. If you attempt to login to webmail at this point, you'll see these same messages stored there. You can select one of the messages from your IMAP account, then hit Ctrl-A to select all messages, then drag them into your POP3 account to move these messages off the server. Now if you login to webmail, you'll see all those messages have been removed from the server. Now you'll want to remove your IMAP account from Thunderbird to ensure that it doesn't keep trying to make a duplicate connection to the server, since your POP3 account is already going to connect and retrieve your email. On the Account Settings window, click on Account Actions and then Remove Account. You'll get a confirmation window pop-up asking if you're sure you want to remove the account, just click OK. 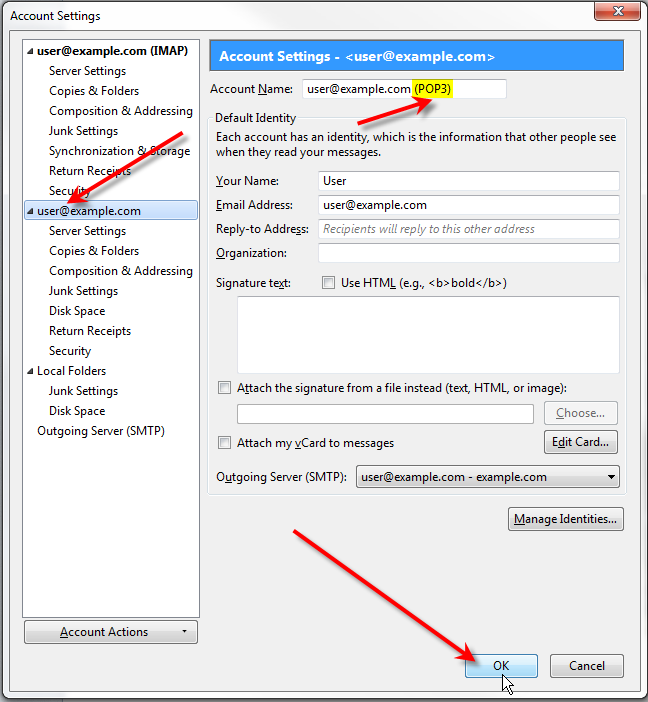 Switching a POP3 account to IMAP allows you to keep messages on the server, and to syncronize them to multiple IMAP clients. 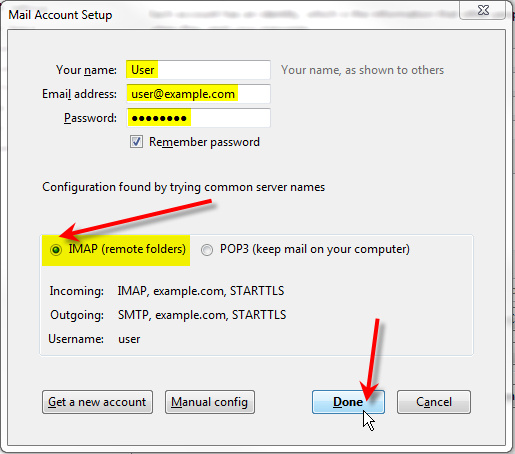 You just need to create a new IMAP account in your mail client, then drag any messages from your old POP3 account into the IMAP account if you'd like to retain them and remove the POP3 account. While IMAP might be more convenient for how you check email, because all of your messages get left on the server instead of your local mail client it could potentially lead to IMAP resource usage problems. Here you can see in Thunderbird that I have a user@example.com account currently setup to use a POP Mail Server or POP3. At this point you can now see that our original POP3 account has 5 messages in it, and these are stored on the local computer itself. If you attempt to login to webmail at this point, you'll see there are no messages stored on the server for this account. This is because they are all stored locally in your mail client. You can select one of the messages from your POP3 account, then hit Ctrl-A to select all messages, then drag them into your IMAP account to move these messages to the server. Now if you login to webmail, you'll see all those messages you just moved on the server-side. They can now be syncronized to any IMAP client such as your phone without the messages being removed from the server. Next you'll want to remove your POP3 account from Thunderbird otherwise the messages in your IMAP account will keep being removed from the server and pulled back into the POP3 account. You should now have the knowledge and know how to switch your mail client from using either POP3 or IMAP as your prefered email retrieving protocol. Hey gang, I'm trying to move from one hosting company to another. I've 2 e-mail accounts (per user) in Thunderbird and have copied all emails to the new hosting co - EXCEPT...the Sent mail folder. After a few support chats, I was told turns out that folder can only be copied into a POP mail account. The new hosting co gave me a link to this thread as a guide for setting up the POP accounts. These users want to be able to access email on multiple devices at any givem tiem, sometimes at the same time. (B) Lets say I create POP accounts for all the users, and I copy the sent mail from the old hosting co into the new hosting co POP accounts. Can I switch them back to IMAP with the new hosting co, and will the contents of ALL folders remain? I'm deathly worried it'll wipe their stuff. This was a great help. Perfectly written up. Thanks! My server recently changed from POP3 to IMAP. I added the new account. If I delete my old account, will my subfolders delete as well? Or should I move them to the new account before I delete my old account? I recommend saving the emails to a separate folder in your email client (such as Outlook, MacMail, or Thunderbird), or moving them to the new account before deleting the old one. Hello there. I'm new to Thunderbird and have set up my office mate's computer and email and realized (too late I think) that I'd set it up as IMAP and the company prefers POP. Three months later and the server side shows it's reached capacity. If I follow the directions above, will she lose all of her current emails, address book, and folders? I keep her backed up with Mozback (excellent little program by the way!) but I'm afraid I won't be able to use that to restore her profile once I create the new POP account. On another note: I have an iPhone 7 Plus and have somewhat successfully been able to get my emails. I can read them but not respond-is that due to the IMAP vs POP situation? Thanks in advance for your help-I hope it made even a tiny bit of sense. If you have configured Thunderbird using an IMAP connection to the server then the emails would remain on the server (which is why the disk space is so high). This would be the case, unless you had configured Thunderbird to remove the emails from the server through the email client's configuration. By default though, IMAP will not remove emails. Therefore, if you change the IMAP default configuration to POP, the emails should then download to your office mate's computer. By default, POP will indeed remove emails from the server (after being downloaded). You can also change this behavior through the Thunderbird account settings. Navigate to: Settings > Accounts & Passwords. Tap on the Email Account from the list of Accounts. Then under Outgoing Mail Server, you should see the option to tap on SMTP. From this Outgoing Mail Server page, review the Primary Server settings (by tapping on it) and also be sure to check if any Other SMTP Servers are enabled (if they are, disable them). In most cases, the SMTP server selected may be incorrect or conflicting with another that is enabled. If the settings appear correct, then tap on the Server toggle button in the SMTP settings to turn it off and on. This helps clear out any bad/stuck connections that the iPhone may be caught up on. I hope this helps! I see many connections from single IP address for both IMAP/POP3. Please advise. I must want your help. Is it possible you have mutliple devices connecting such as a computer and a phone? This would explain the different connection types (depending on how the devices were set up) and the same IP (such as over wifi)? hi, on my iPad I have been receiving emails from my 2 accounts. For some reason my main account all of a sudden is not receiving any. When I check settings my incoming server has changed from pop.shaw.ca to IMAP. I keep changing it back but it can't seem to verify it and then defaults back to IMAP! Very frustrated! Thank you for any help! That certainly would be frustrating. I advise checking with Apple's iOS support to see if they have a recommendation. I have several accounts, both POP and IMAP. I want to convert the POPs to IMAPs. However, for some reason my IMAPS show the outgoing server 'offline'. I use the Mail program on a Macbook Pro, and my incoming server is a hosting site. I was led to believe I should use the same outgoing server as my incoming, but I'm beginning to think that's not correct. Any advice? Normally, both the incoming and outgoing servers are the same. Unless you have a special setup, this should be the case. You can copy the emails over to an IMAP folder, which will sync them back to the server. A similar process is covered in our article Using Thunderbird to transfer Emails between servers. How can I manage to have all my emails also on phone while I am not on computer if I have POP3? I cannot use IMAP, because our server is too small and its better to save all emails on compurer, daily I get about 700 new messages, but I also would like to get emails on my phone. Is it possible? And what would happen if ir will read this email on phone, is it will be on computer too? POP removes email from the server by default, but you can set it to "leave a copy on the server." But, this will still result in emails being stored on the server (similar to IMAP). You may be able to setup a forwarder to another address, and check that via POP on another device. Hello. I just have one questions. Can this workaround be applied to a Gmail account and an iPhone? The original account (IMAP) was deleted by accident so the only backup of the emails is in the iphone. Now, the deleted account was regenerated again, but it is a new one, without any emails or folders. If I switch form IMAP to POP in this iphone, would I lose the already downloaded emails or it can just start receiving the new ones without touching the older ones? You should be safe if you have already downloaded the messages using POP. I advise backing up any critical messages anyway, just to be safe. I used to have a desktop where it gets mails 24/7 but when it's offline, my laptop would takeover and receive the mails. would pop3 and imap settings fix this issue? 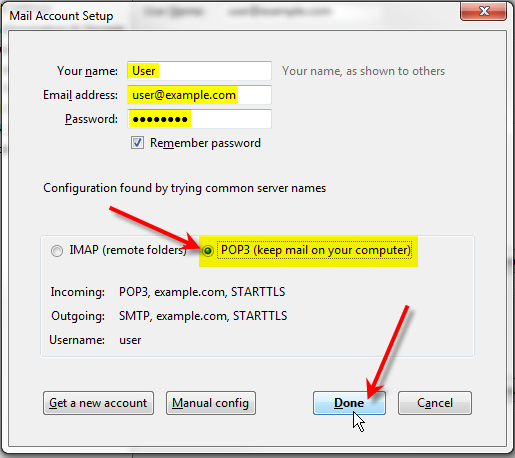 POP and IMAP are simply the method you are using to access your email. If you want to view/access emails across devices, we recommend using IMAP, since it leaves emails on the server by default. Allowing multiple devices to see the same thing. Yes, IMAP will show on all devices since its stored server side and not locally. While i understand IMAP allows you to store single email on multiple devices. But if a mail is sent or a reply.. will it sync to all devices? Senai, that's tough to diagnose without being able to see it. Are you getting a specific error message when using POP3? I have configured both IMAP AND POP3 protocols in a firewall but email clients in the network with POP3 connection type in their outlook are unable to send/receive though the POP3 is configured in the firewall but IMAP clients are working fine.What do u think the problem is pls?Thanks. Thanks John-Paul. I have done what it says and now I get emails to my mobile, but they don't appear on my laptop! I think I'm going to have to do some more investigating. Hi, this forum has been very useful for me, but I am still having problems. I would like to swap from POP3 to IMAP using my Windows Mail. I have copied the instructions at the top of this page and although I'm not using Thunderbird (I'm not even sure what that is!) I think I'm making progress. That is until I need to drag my messages to the IMAP account. It won't let me. Won't let me drag the folders down either. Is there a really simple explanation for this please? Thank you for contacting us today. I found a helpful guide via online search, where they provide instructions specific to Windows Mail. I hope this helps you get switched from POP3 to IMAP. It helped me safely restore my Opera Mail account settings which I accidentaly set up as POP instead of IMAP. I have been though the procedure to switch from pop to imap. I then wanted to delete my pop account. When i went to select the account to delete, a message appeared that I already had an account in that name. It would not show me the account settings to decide which one should be deleted. If you are are unsure on which account to delete you may need to uninstall the email client you are using and re-install it. This will remove any local settings in place such as accounts that have been setup before. Then you can add your IMAP account. I am still grappling with the problem. If I do as you suggest, I will lose all my current stuff? Is there a way of saving what is in all the folders I set up, stored addresses etc.? If everything is already showing on the IMAP, then deleting or removing the POP will not have any loss of data. This is because the IMAP information is on the server. I found direct instructions on how to backup your local email in Thunderbird which can be recovered. I hope this helps accomplish your goal. I have read that POP3 will not allow me to have subfolders, which I need or I'll never be able to keep things organized. I also liked that whether I was at my office PC or away using my laptop or iPhone, I could receive and respond to messages without anything getting lost on the way and all records were kept. My issue, is that now the server is saying my account is almost full. If I change to POP3, will my subfolders be transferred also or will they be lost? Or should I save my IMAP Inbox and subfolders to the Personal Inbox folder and it be saved on my computer and see if I can access older emails? Thank you for contacting us. If you are reaching your mailbox quota, you can simply increase the limit in cPanel, or use our Automated IMAP Archiving. 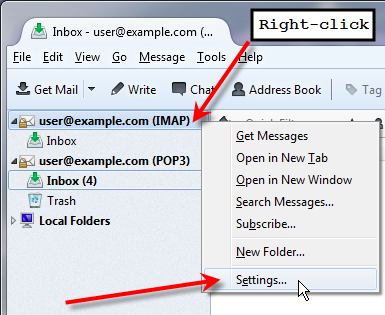 Yes, you can save your IMAP folders/subflders to your client (such as Outlook, Thunderbird). But, they will only be available on the computer you are using to connect via POP3. This is because POP3 does not store emails on the server by default. HI I am trying to set up my wifes email account (Tiscali) on Office 365. I know that MS do not support POP server settings currently which is what Tiscali use for incoming email. Can I change the tiscali email from POP to IMAP? Outlook will support IMAP. Please advise. Thank you for contacting us. Office 365 should support POP settings, here is a link to their guide on Outlook settings for POP and IMAP . Otherwise yes, you should be able to switch to IMAP by following the guide above. I have one machine using POP3 with many years of emails, so it's like a database now, and we want to keep it that way. But it would be great if on my laptop I could access current email in a nicer interface like yours, instead of on webmail like we do now. So, my proposed solution is to keep using POP3 on the main machine, and leave messages on the server for 20 days. And, use eM Client in IMAP mode on the laptop to access the last 20 days worth of received emails. I understand that email sent from the IMAP machine will not show up on the POP3 machine (unless I copy myself), and visa versa. But, some people have said that using the two protocols on the same email account may cause problems (with the index??). Can you let me know if that's true? We really don't want to mess up the message storage base on the POP3 machine, but it would be very handy to have IMAP access to monitor what is current and also send out some email. We already do this using webmail, so not sure why techies have said IMAP access would mess things up. Is webmail basically IMAP with no local storage? Or is webmail something different all together? I ask, because we want to replace webmail acces with eM Client access since your interface is so much nicer, and still have the POP3 account keeping incoming mail. I'm not really sure what interface you're referring to (you're calling it "eM"). 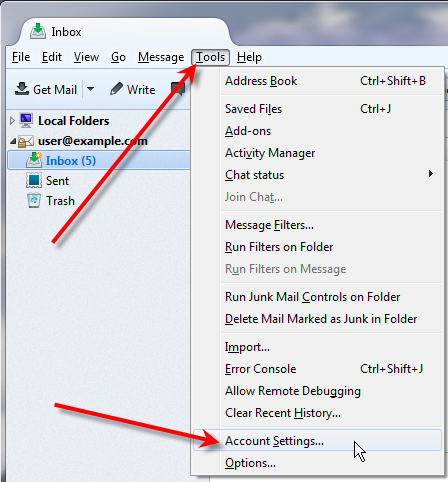 You can always use another email client like Thunderbird or Outlook that allows you to store email OFFLINE. You can still access these messages at that point - though they'll only be on that particular computer. The issue of using POP3 and IMAP shouldn't really be a problem as long as you leave a copy of the emails on the server. POP3 will generally download emails to the client, but if you leave a copy of the emails on the server, then it shouldn't been an issue for IMAP users on the same account. Our webmail clients all work in IMAP, so , it shouldn't be an issue to use either protocol. You're welcome to try either protocol when you try using the email client you're referring to. Check out How to Find my Email Settings. if i create a new account (imap) on my email client so i can drag and drop all the folders and email that are on my Pop account, does it have to be a different email address? And how can I then keep and see it all in my usual email address? Or can it be the same email address? Thank you so much for taking the time to answer. If you want to have access to your emails OFFLINE, regardless of having connection to the internet, then you will need to consider using an email client like Outlook/Thunderbird. Bear in mind that although you could access those emails, if you're OFFLINE, then you couldn't send anything out. Remember that when you use the POP3 protocol for email, then you are limited to email only within the INBOX. Additionally, while you can leave a copy of all emails on the server, your email needs to be downloaded first. IMAP allows you to create folder structures so that you can organize your email. When you're talking about using Gmail, if you're using the free Gmail client from your browser, that is a program that requires that you work ONLINE - connected to the internet. The other 2 email clients you mentioned - Outlook and Thunderbird - have a variety of options . You can use them to also get email from Gmail or other accounts. You can also use their built-in functionality to create filters that automatically move messages to certain locations. The main desirability of the clients will be their ability to work offline. So in terms of changes for your email, take another look at either Outlook and Thunderbird. You will find they work in either POP or IMAP - though in your case, you'll probably want to work in IMAP in order to organize by individual folders. I am using POP3 accounts on my domain. I have also enabled Email Archive option of the cPanel and I am getting all the incoming and outgoing messages stored in a imap account. I have configured the imap account in my outlook and it has syncyed all emails. Now, I want to take a back of these emails and stored them as POP3 since the IMAP account is configured to delete all emails older then 7 days to save disk space. How can I convert all imap emails into pop3 emails in my outlook wihout usign the export feature as it creates a backup file. I want to use the option as a daily feature and it should keep storing all emails in the folder. This article was written using Thunderbird as we do not use Outlook in house. Other than helping with settings to connect to email, we do not give support for Outlook. It may be that the backup file is necessary for Outlook to perform the switch. You may need to contact Microsoft support for the exact answer on that, however. I am keen to switch from a POP3 acc to IMAP and these instructions are briliant. What will happen to any emails I am storing in archive folders currently as POP3 emails? Do I bring them over as you say to bring over any emails sitting in the IN-Box? I don't want to lose them when I delete the POP3 account. Thanks, Jos. Any of those folders would also need to be moved the same as referenced for your inbox. While it is possible it would have to be on different devices. Also, if you have multiple devices connecting to an email account, using POP3 on any of them would not be advisable. This is because the POP3 device would pull all the emails off of the server onto itself. Then the other IMAP devices would not be able to see them since IMAP syncs with what is on the server. I have recently had my computer serviced which has removed thunderbird. When I set up the exisiting account again I only had emails dting back a month and not two years. Is there a way to get these old emails back? When using email clients such as Thunderbird there are two different setups. The one you had your Thunderbird set up with will determine whether you can get your emails back or not. One is called IMAP which syncs with the server. This means that the Thunderbird is like a window to the server and the emails actually live up on the server. Once you reconnect to your account to the server, the emails should resync from the server and it should appear the same as before. The other setup is called POP3. This format pulls the emails off of the server down to the computer. In this case, if the emails are deleted they are not recoverable. Unfortunately, POP is the only solution for reliably storing messages for offline use. Every time you connect using IMAP, the folders are synced and the messages are gathered from the server. How do you keep the same email address when moving from pop to imap? Thank you for your question. When you change from POP to IMAP, you should use the same email address. You are only changing the port and server settings. It may be difficult to improve it. This article SAVED MY SANITY this evening, by its stunning clarity and accuracy. 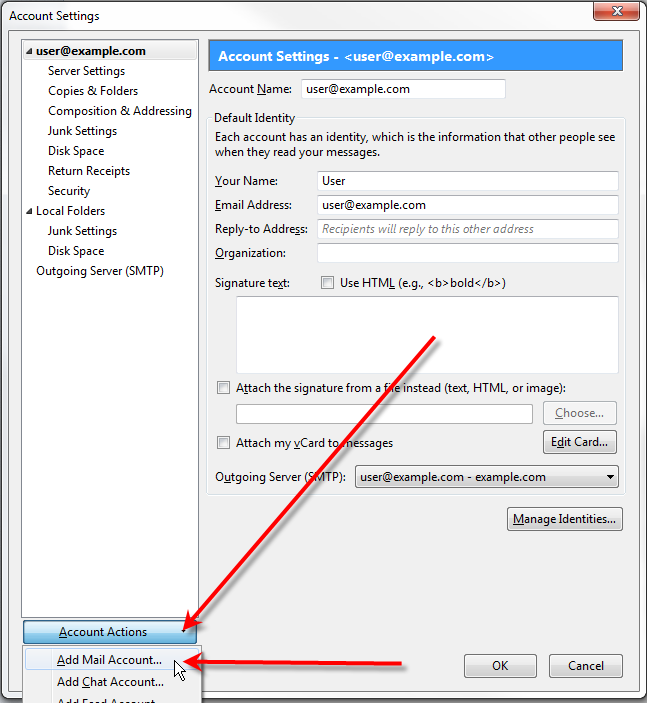 I am wanting to convert a POP3 account to IMAP in Outlook and keep exisitng emails. While I understand the copy procedure mentioned above I just want to confirm that the emails within folders in my inbox will copy over to the new IMAP as well before starting this process. Thanks for any help you may give me. Thanks for the question. POP3 email accounts are centered around the INBOX and they typically are set to download the email to a client (like Outlook) unless you have set it so that a copy remains on the email server. If you don't have a copy of the emails already saved to the server, then to make sure that you have a copy of your emails, you should save all of your emails to a local location on your computer first. 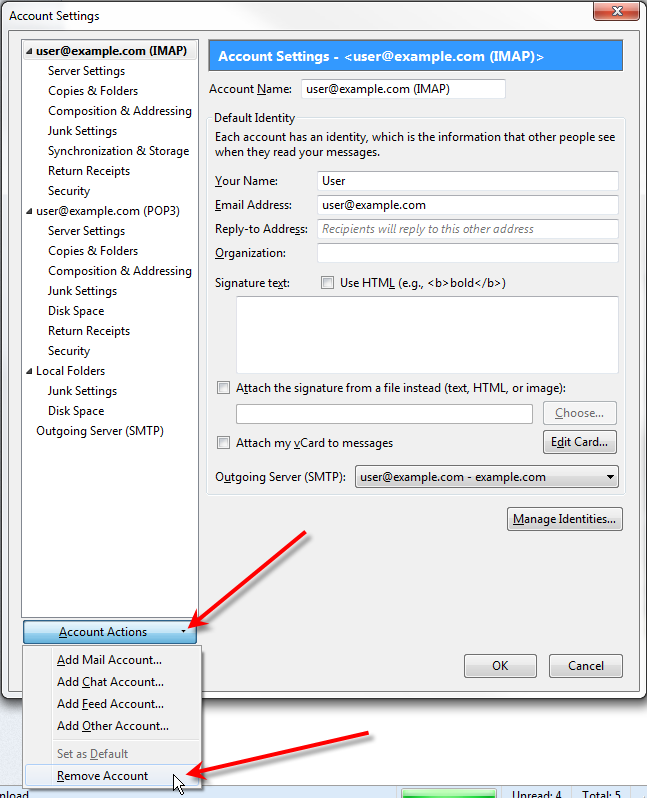 Then you can bring them back into your Outlook account when you have completed converting to IMAP. This can be done in Outlook. 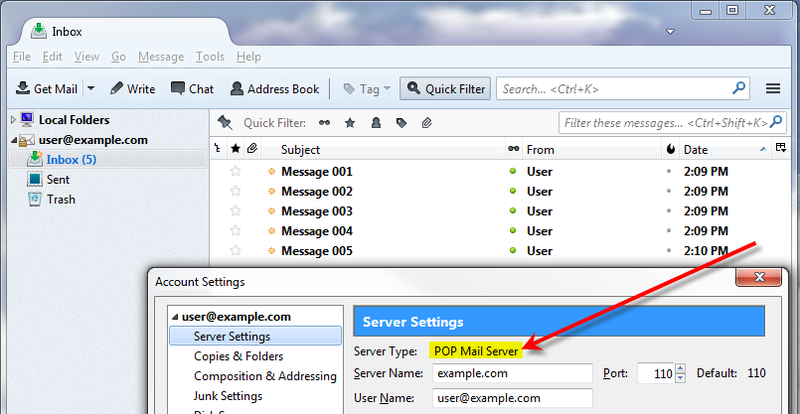 Note, the email server is not changing to either POP3 or IMAP. You're changing the protocol of the program you're using to access the emails. I hope that helps to answer your question. If you require further assistance then please let us know. Hi, I'm working with the outlook.com email website, not an outlook software program. I can import my emails from the cpanel email account however I have two questions. Outlook.com ask for my IMAP email server which I put in the Incoming server information but that gave me errors. How do I find the correct IMAP email server information? 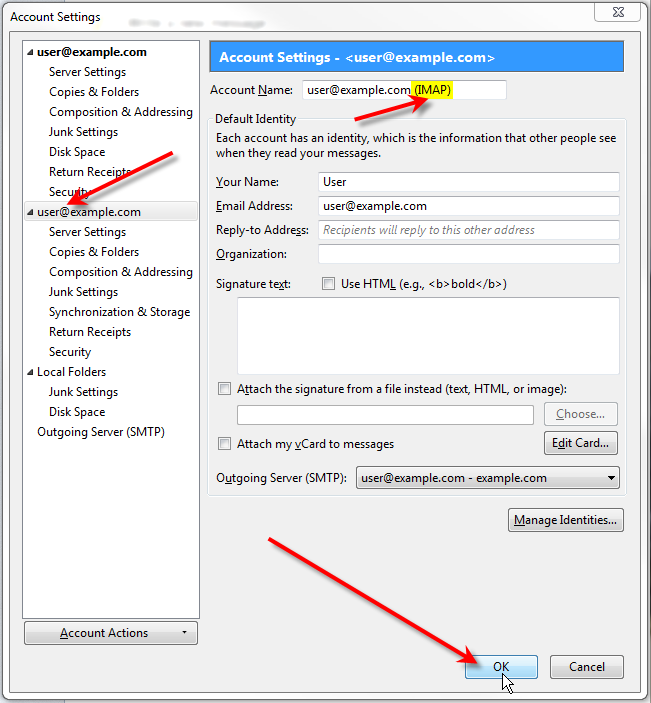 Do you know if the correct IMAP setting will allow me to send for outlook.com email? Thank you for contacting us with your email question. You can view your email settings, including IMAP, in your cPanel at any time. However, if you are using a free Outlook.com account for your custom domain, Microsoft discontinued the service earlier this year. Microsoft is recommending that you move to Office365 for your custom domain. Keep in mind this is a paid service. Would this description be applicable to the email client found in the Seamonkey Web Browser? Actually yes! Seamonkey is made by Mozilla and the interface is very much like Thunderbird. This may serve you well, but I cannot guarantee there won't be minor interface differences. Maybe you should explain how to configure other email clients, if possible. This is more about switching from the POP3 to IMAP (or vice versa) protocol, so the concept is the same no matter what client. Individual clients, however, have their own interfaces.